I’m not usually the type to buy cookies. Ninety per cent of the time, I can pretty much guarantee that there are enough baked goods in my house/belly that I have no need for store-bought ones. 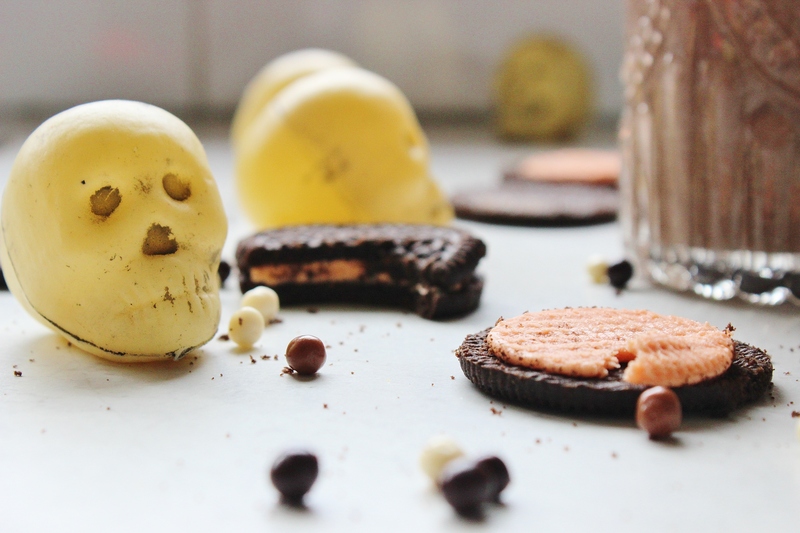 But when I saw the Oreos chocolate orange Halloween creations, I couldn’t resist. Having just drooled over Terry’s Chocolate Orange, I figured it was only appropriate to continue the chocolate orange Halloween recipes. Can I just say, this little beverage is DANGEROUS. It’s not overpoweringly sweet, and it has a subtle jaffa-like taste, which means you could easily drink the whole serving instead of sharing. And it’s quick to make. If you’re not in the mood for Halloween, just use regular oreos, it’s equally as good. 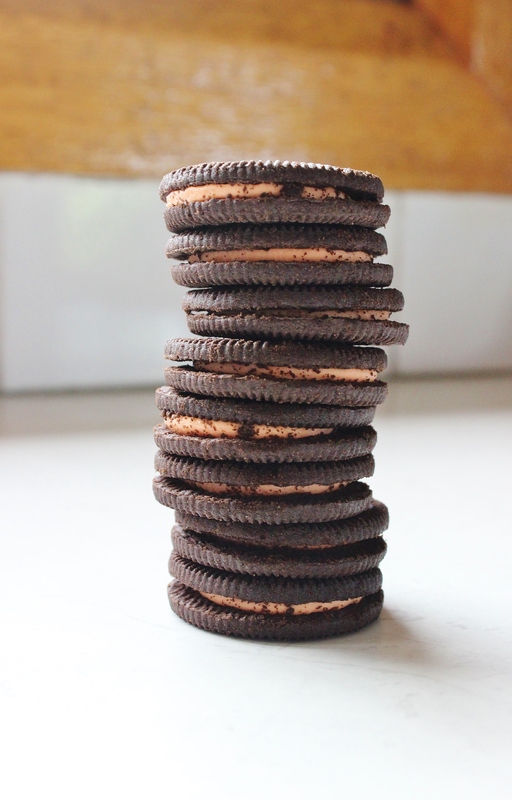 Blend together your oreos and ½ cup of milk together until you have a smoothish paste. Pour in your melted chocolate and mix well. Add in the ice cream and remaining milk, then blend until drinkable. That’s it! 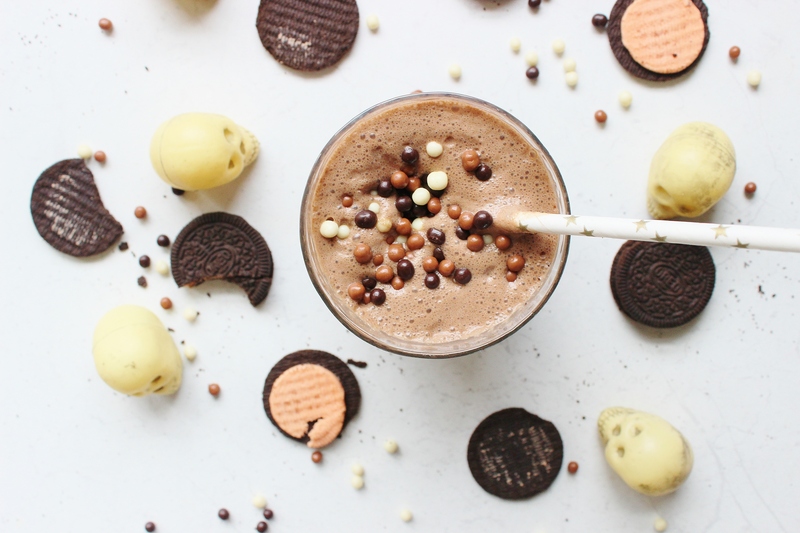 Go forth and make milkshakes. Haha. Anyone who loves jaffas is good in my books 🙂 Thanks, lovely!